Community Heartbeat can offer a number of facilities to help you towards your goal. Let us know what you require by filling out and returning a Fund-Raising Project Assistance Form. If you have any bespoke requirements, are having trouble fund-raising or would like to request something that is not listed then please do not hesitate to contact us. Letting people know about your project is always important, but raising awareness about the possibility of a life-saving device and how it can help the community, not to mention be used by anyone training or not is invaluable. We have several different handouts with facts, figures and useful information, what to do in the event of someone collapsing and much more. The staple of a fund-raising campaign, let us know how many you require and where to post them to! 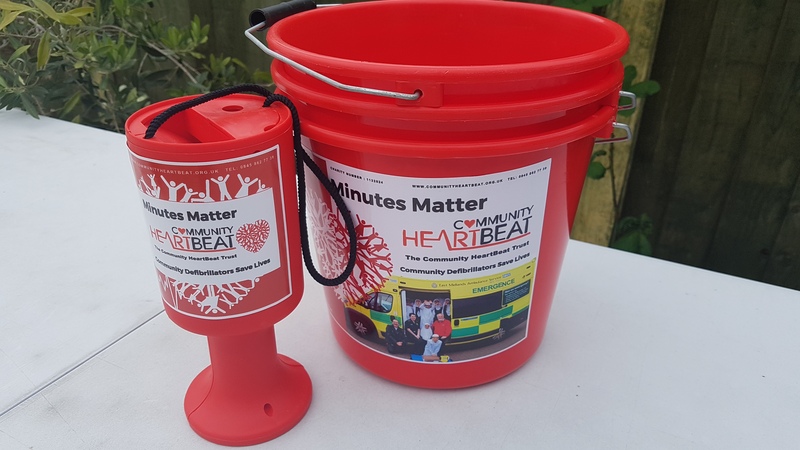 We have both buckets and tins available, in addition for those that prefer to donate in private we also have donation envelopes that can be filled out and posted back to us for free. When you have finished with your collecting tins and buckets we kindly ask that you return them so we can send them out again to other sites. In addition to this if you need advice on obtaining a collection license just ask us. 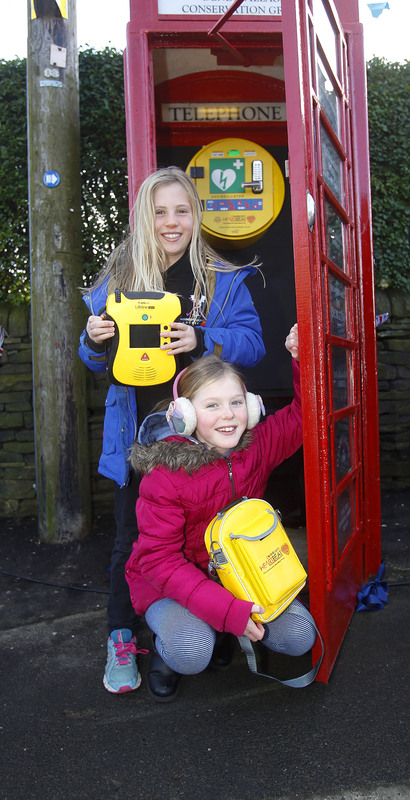 Community Heartbeat can hold funds for your project that are kept in a reserve account for your Defibrillator project. We do this by providing a unique six-digit reference code which we ask you note on all monies being banked with us, either via cheque, BACS, online or via donation envelopes. Any monies paid in without a reference are put into a suspense account until the origin of the funds can be verified. Account balances are available on request. We do not just bank your money without finding out where it comes from first! We can set up a unique online page for your project and provide a link. We provide running totals on request, or can provide a page that displays a total via Charity Checkout. We are also registered on Just Giving so if you wish to set up your own page just link to us and make sure to get in touch and let us know about you! Need something bright, bold and large? We have you covered, we have several pop-up stands & posters available for events and fundraisers that are light and easy to set up. Let us know your requirements and we can recommend accordingly. Whilst CHT does not always offer grant funding, we can help point you in the right direction and assist by providing you with a complete breakdown of costs for a project, facts, and figures such as Ambulance Response times for your area and in-depth information about the efficacy of community defibrillator schemes.